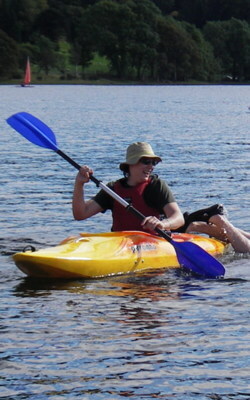 To learn the basics of Kayaking in single person kayaks. How to hold the paddles and what to do with it! 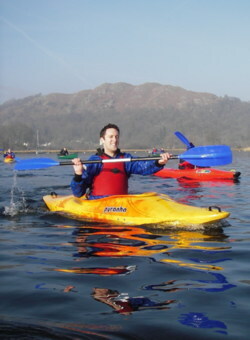 Once mastered your instructor will lead you around the lake and organize the fun and games on the water. 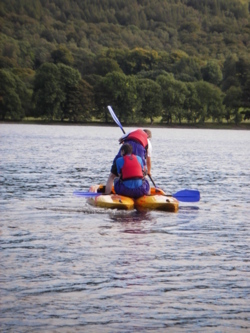 If it�s something more advanced your looking for we will provide a right instructor to suit your needs. We supply a wetsuit (where necessary) and jacket but on top wear something warm like a fleece, preferably something old and loose fitting. Footwear should ideally be canoeing type shoes or boots but trainers with grip will do.